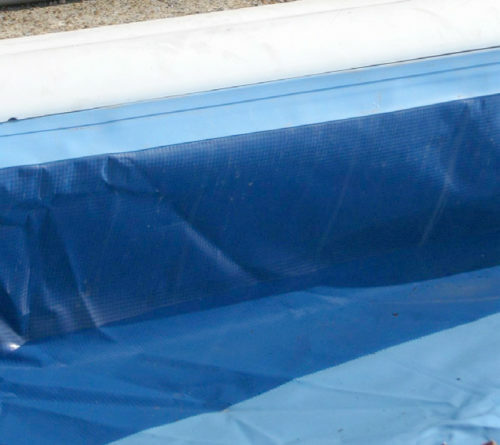 The Ultimate Pool can be installed above ground, partially in-ground, or completely in-ground to fit any yard or slope. 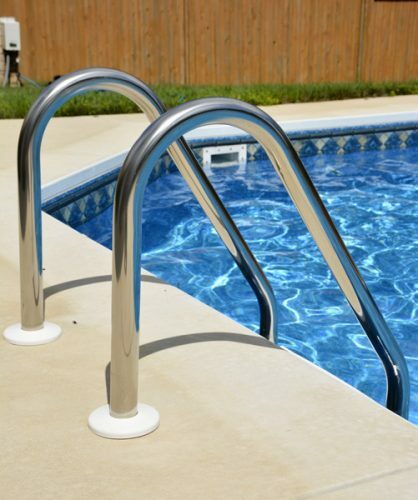 The 14-guage in-ground quality steel gives the pool unmatched strength and durability to last a lifetime. The Ultimate Pool, equipped with the Badu Stream II, provides an opportunity for aquatic and aerobic exercise right in your own backyard. This dual jet system has an adjustable current, allowing you to control the intensity of your workout. You can enjoy the fun and relaxation of a pool with a workout center all in one! 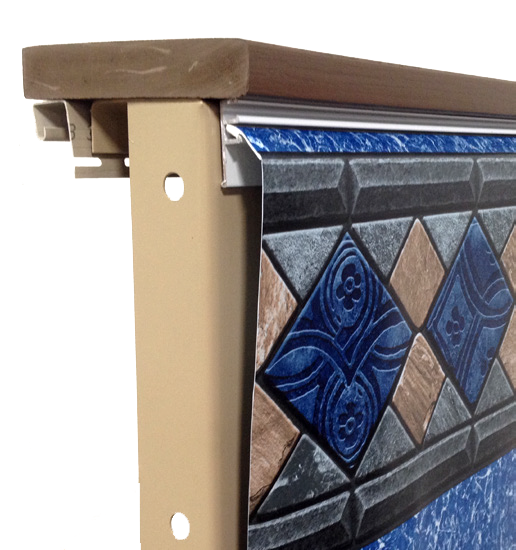 The roll-guard A-Frame safety ladder is included in the Ultimate Pool Kit. Meets ANSI/APSP barrier requirements. 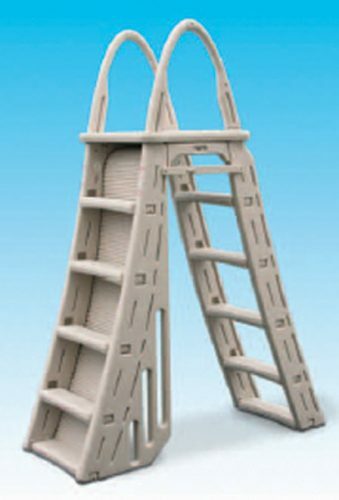 For in-ground installation, a deck ladder is included. Walk-In® Stair makes an easy and beautiful way to enter and exit your pool. Available as an 8-ft radius, 5 tread. 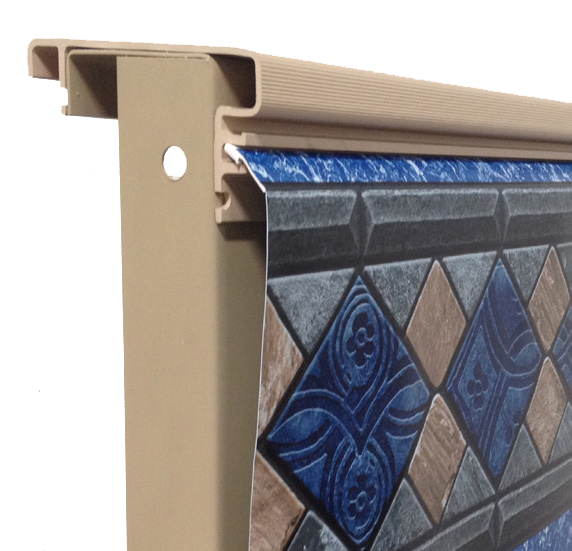 Made from tough, durable material, this stair will withstand earth movement and severe climate changes. A cantilever stair is also available to allow for a more custom look. 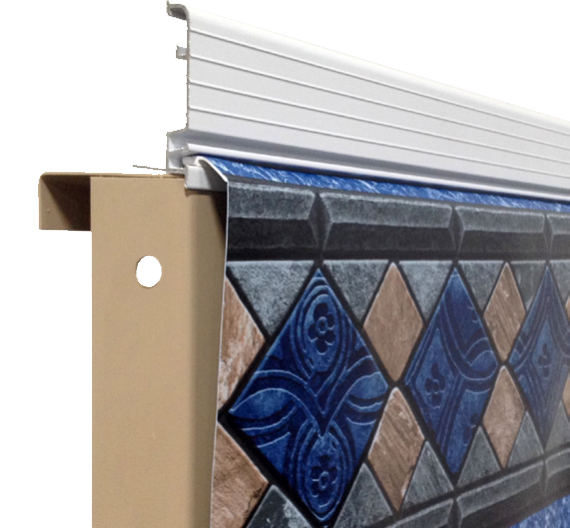 Snap-in covers feature reinforced 18mil vinyl side wall with a 12mil body. The entire cover remains inside the pool, giving it a neater appearance in the off season. 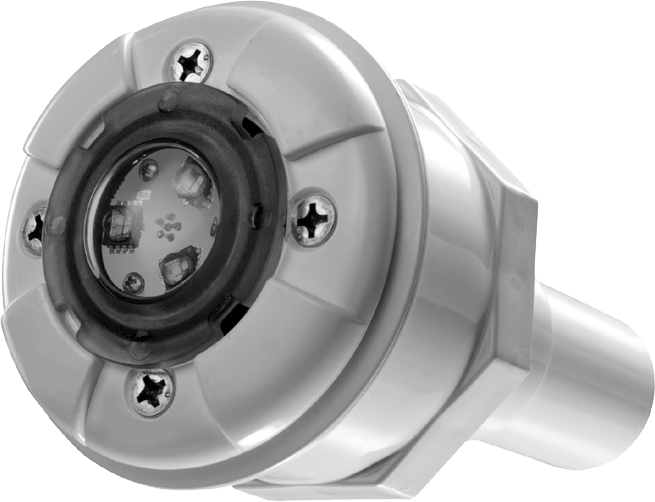 GloBrite™ LED Lights are the brightest and most energy-efficient LED poolscapes lighting available. These lights make night time swimming safe and fun. Choose from 5 colours and 7 pre-programmed light shows. 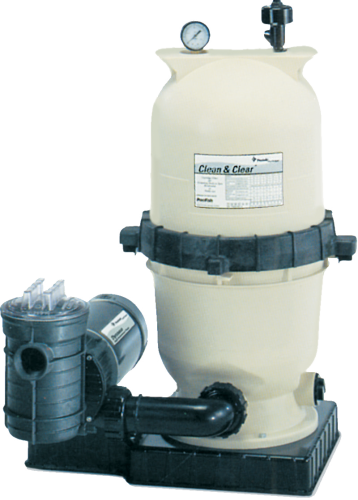 Optional pool equipment is available in sand, D.E., or Cartridge. Ask us for more details. 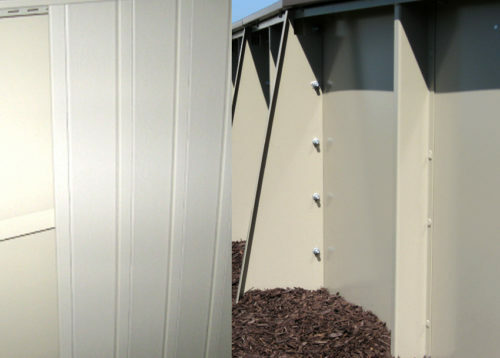 Optional batten board vertical siding kits are available for round above-ground and semi-inground pools. Buttress supports and concrete bonding ring on the oval pools provide long lasting strength in any soil.